Professor of Economics, University of Oxford, and Fellow of St Edmund Hall, Oxford, now retired. He has been Head of the Department of Economics in Oxford, and Finance Bursar and Vice Principal of St Edmund Hall. He is currently (part-time) Visiting Professor at Beijing Normal University, and he holds a Leverhulme Trust Emeritus fellowship. 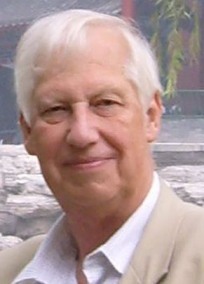 Professor John Knight has published over 80 journal papers and 5 books. His early work was concentrated on Africa. It included Education, Productivity and Inequality: The East African Natural Experiment (Oxford University Press and World Bank 1990) and The Economic Decline of Zimbabwe: Neither Growth nor Equity (Palgrave 2002). For the last two decades his research has been mainly on China, much of it through his long term membership of the China Household Income Project (CHIP). The research has covered labour markets, migration, education, inequality, poverty, subjective well-being and economic growth. His books on China are The Rural-Urban Divide. Economic Disparities and Interactions in China (OUP 1999), Towards a Labour Market in China (OUP 2005) [which received the Richard A. Lester Prize, awarded at Princeton University, for 'the outstanding book in Labor Economics and Industrial Relations published in 2005'], and China's Remarkable Economic Growth (OUP 2012). His most recent publication is 'Inequality in China: an overview', World Bank Research Observer, 2013.